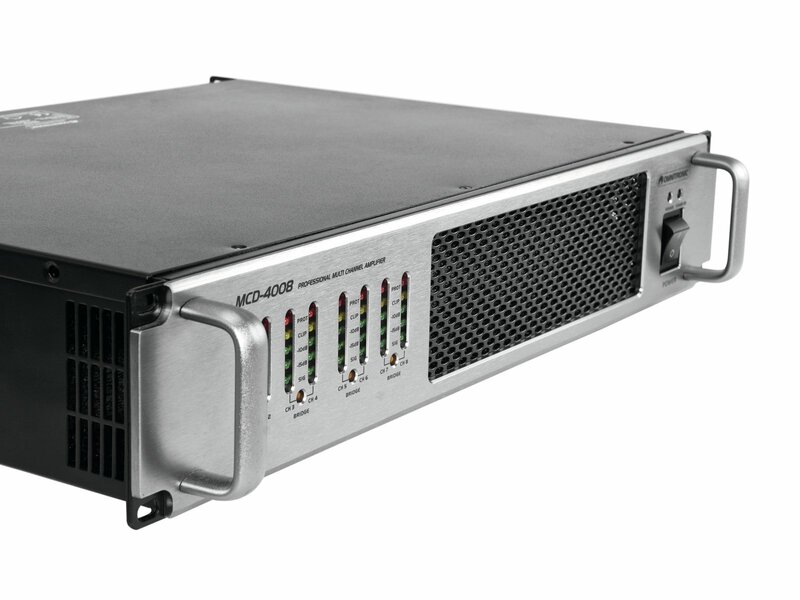 The new, really powerful Omnitronic multi-channel amplifiers are called MCD. 3 models with 4, 6 or 8 channels enable you to realize versatile multi zones setups, for example for retail-shops, gastronomy locations or multi-purpose halls. You can even think of club installations with subwoofers and tops. The only thing you need to do so properly is the digital speaker management system of the Omnitronic DXO series. 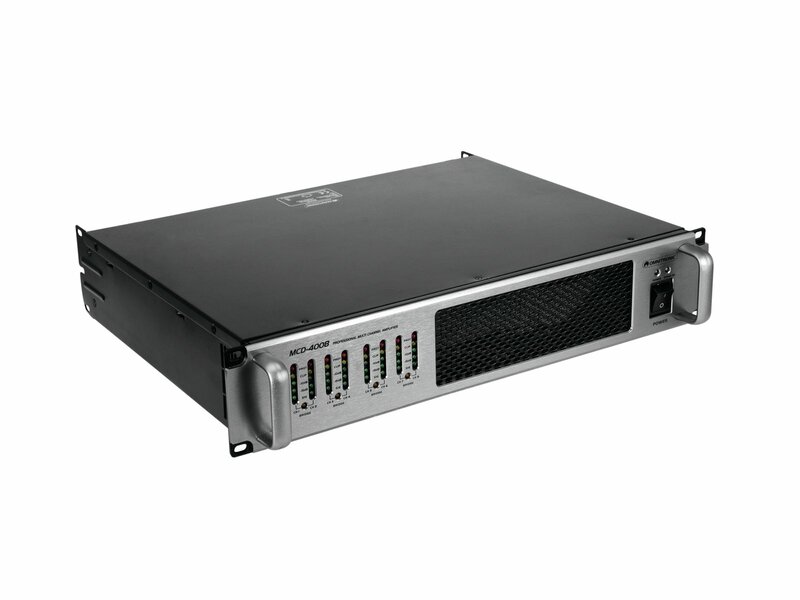 500 watts @ 4 ohms per channel is what each of the models is offering you. 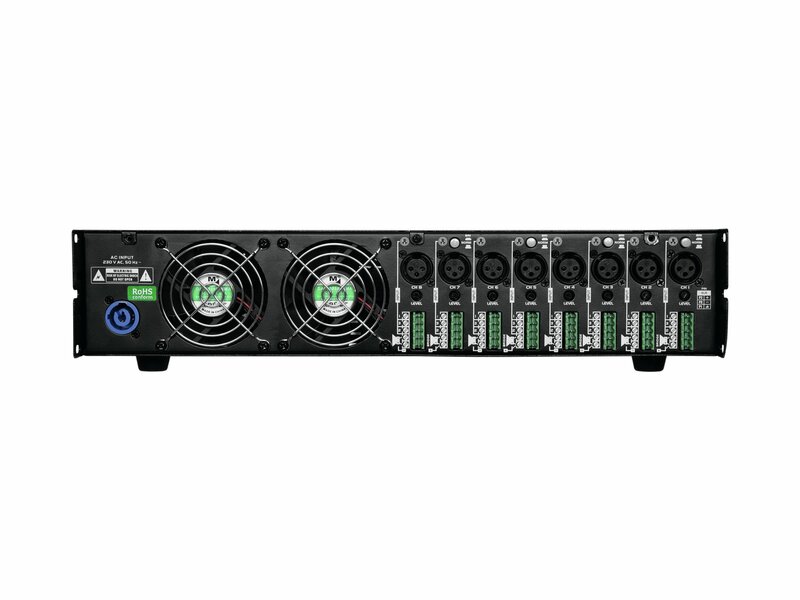 If you are working with demanding subs you can simply bridge each channel pair and get 1000 watts @ 8 ohms. 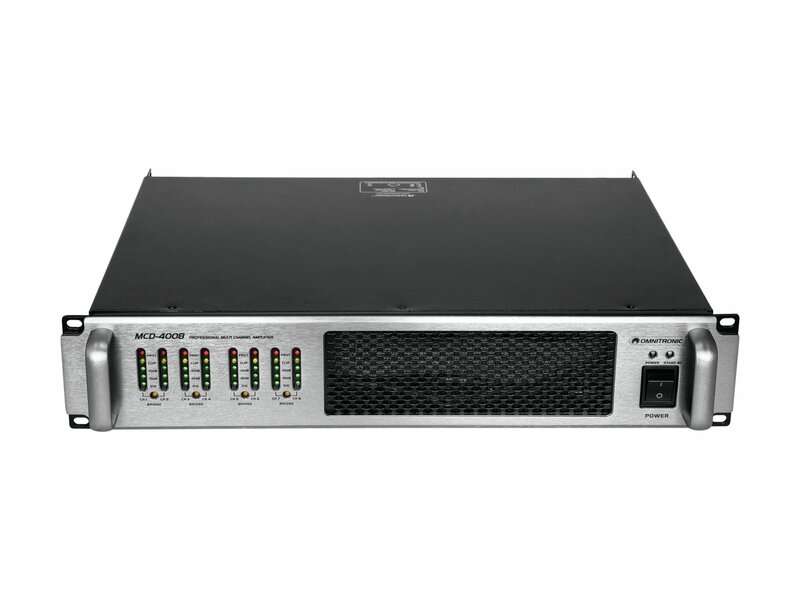 A real benefit for your rental and touring business: all members of the MCD series are lightweights, thanks to class D architecture and efficient switch mode power supplies. In addition you can save money with the automatic standby function, which reduces the power consumption while you do not use the amp.